I have been having a bit of an obsession lately with fennel. Call me crazy, but if you make this recipe, you’ll think you’re eating in a 5 Star Restaurant. The ingredients are simple but the end result is simply amazing. 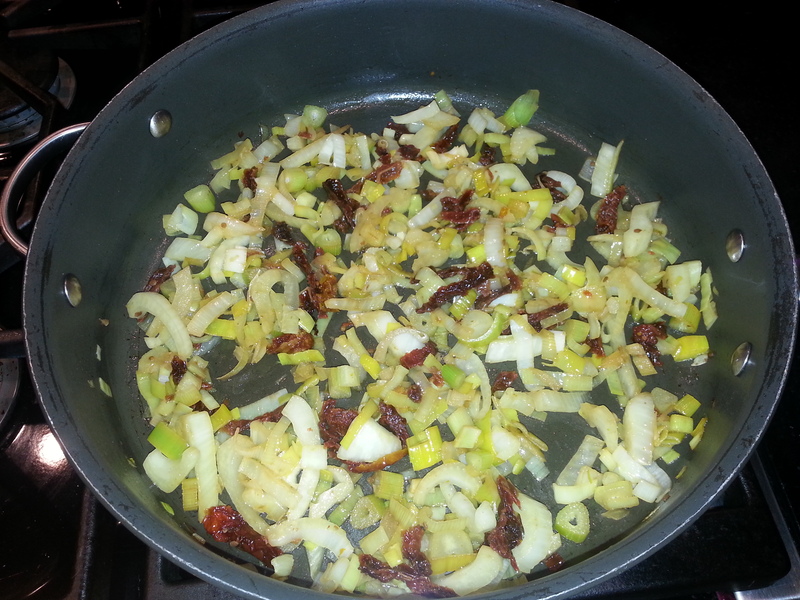 Sauté the leek and fennel in olive oil until the leek turns brown. 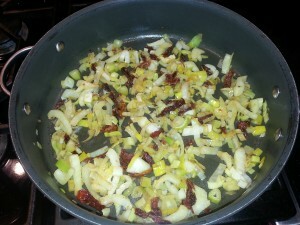 Add a small amount of white wine until it gets absorbed in the leek and fennel mixture. Continue doing this until the fennel is cooked through yet still firm. Add salt, pepper and chili flakes if desired. 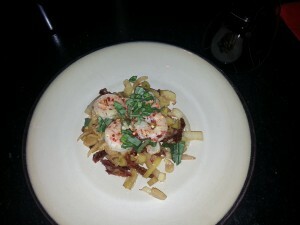 In another skillet, quickly sauté the shrimp in olive oil until pink. Add 2 tablespoons of Kirkland’s Lemon Artichoke Pesto and stir to cover shrimp lightly. If you don’t have access to Costco’s, simply cook the shrimp with shallots and fresh lemon juice. Plate the dish with the leek and fennel mix on the bottom and the shrimp on top. Sprinkle with freshly chopped basil. You have to trust me and give this recipe a try. It is delicious with fish as well. Please let us know how you liked it and whether or not you changed the recipe in any way. I can testify to the deliciousness of this recipe! 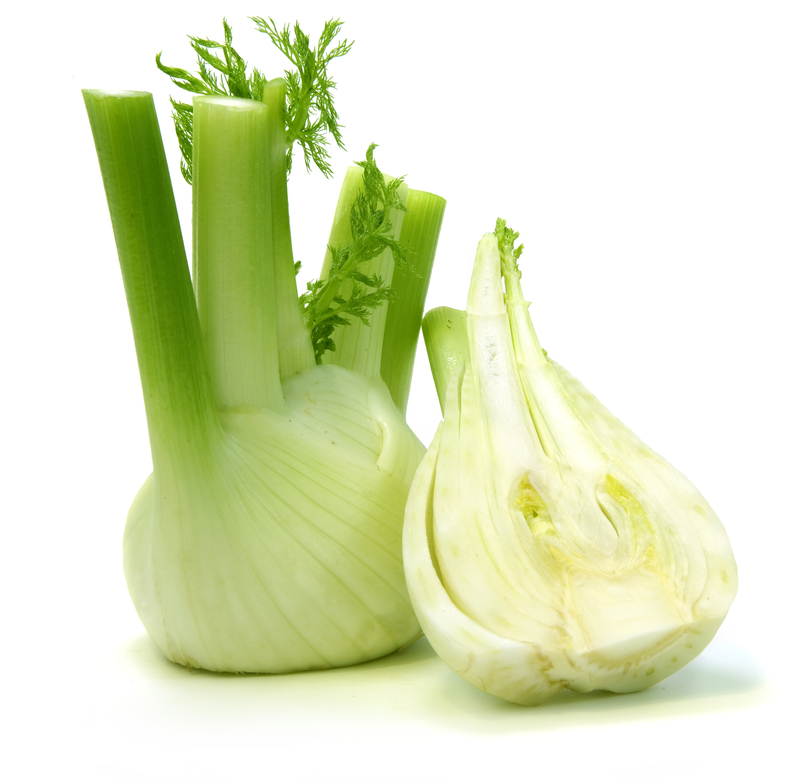 I hadn’t cooked with fennel before, so this was a new ingredient for me. I forgot the basil (!) but it was still delicious!!! Thanks Molly! Thanks Stacy! I can’t wait to try it with some variations 🙂 Let us know how you change it up! looks delish, Molly! I am not a huge seafood/fish fan but I will definitely give this a try! I know my hubby will love it!! As soon as I get my kitchen back I am going to try this. Sounds delicious. Don’t have the pesto which also sounds like something I need in my fridge!!! !